...I welcome this effort to pay tribute to the vast contributions made by people of African descent to the advancement of the political, economic, social and cultural development of all of our societies. At the same time, we must remember that people of African descent are among those most affected by racism. Too often, they face denial of basic rights such as access to quality health services and education. Such fundamental wrongs have a long and terrible history. The international community has affirmed that the transatlantic Slave trade was an appalling tragedy not only because of its barbarism but also because of its magnitude, organized nature and negation of the essential humanity of the victims. Even today, Africans and people of African descent continue to suffer the consequences of these acts. As we commemorate 2011, the United Nations International Year for People of African Descent, I return to an interview with Shirikiana Aina in 1997, she talked to me about her film Through the Door of No Return. A journey in her father's footsteps, as well as the journey of her ancestors and of present African diasporans. She talks about her feelings as she tells a story through film, keeping a certain vision, a certain perspective, and at the same time as she undergoes a very deep, emotional journey. 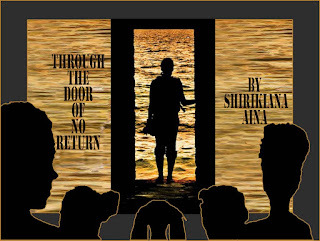 Through the Door of No Return was inspired by her experience with Sankofa, the acclaimed film directed by her husband, Haile Gerima, and of which she is the co-producer. In this film, I go on a personal journey…I use my father's experience as sort of a bridge to get me there, as a child of Africa in the Diaspora looking for her roots or a re-connect. My father traveled to Africa when I was about seventeen and apparently was trying to move to Ghana. Unfortunately, he contracted malaria. It was fatal, and when he came back, he died. I was a budding adult, but we never had a chance to synthesize or pass on some of the things he gained by himself going on that journey. He was the child of a sharecropper. He moved to the North and was involved in whatever industry was available to him. And for him to make that leap to Africa in his lifetime was quite significant. So, I used that as an opportunity for me to re-link to the continent. …Through the door, camera in hand, I followed the journey of my own father who went this similar process, and that helped me to make this link in finding other people's footprints, and symbolically I found his. So that helped me to make a particular link and that was enough for me…When I was investigating all these connections it felt really interesting and symbolically important for me, his child, having taken up the profession of filmmaking, now to go back with my own camera to really pick up where he left off. What I try to do in the film is to multiply his image with all the people I find going to Ghana who are basically doing the same thing, trying to reconnect, trying to sew back this terrible tear that history has caused between Africans in the Diaspora and Africans on the continent. The film goes on from this point to see to what extent we remember, because, as infantile as it really might be to think, "Do they remember us?" this is the horrible fact of history: it lasted four hundred years and there are concrete questions of economics, of rewriting history, that are confronting us now. So how can we say, "Do they remember us?" It feels like such an infantile question, but it really is at the root of a lot of our psyches, I think. …The presence of pan-African work, the presence of people of the Diaspora in Ghana during the time of Kwame Nkrumah, for example, is what really just catapulted this whole project and I couldn't talk about W.E.B. Du Bois' influence in Ghana and the subsequent influence of independence on the continent, without talking about slavery. I just found that it was impossible. So the challenge that I faced with this camera and crew was to break down, sort of travel through this understanding. Du Bois asked to be buried at the foot of the castle, facing the ocean, the foot of a slave fort. He died in 1963, he was beyond his time; and that symbolism for the whole world is striking. But I had to sort of do what he did. He was at the foot of the castle, through the slave fort dungeons facing back, so he was making this human. 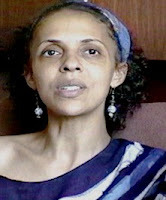 And I had to do something similar—to look at how somebody like Kwame Nkrumah, a country boy who went to Europe to study, hooked up with George Padmore, studied Du Bois, studied Marcus Garvey, and then this group of people having the nerve to come back to Africa to liberate the whole damn place. To look at that I had to see how these men and women had the capacity to see themselves on equal planes. Hadn't history divided them? Hadn't history thrown them asunder? Hadn't history said that now they were totally different kinds of human beings? They were apparently able to cross that divide and I had to cross that divide myself. It was very important for me to do the same thing.